Ten contest winners who wrote "Celebrating Romance," ten short stories selected to celebrate YourNovel.com's 10th anniversary. Ten contest winners who wrote "Celebrating Romance 2," ten short stories selected to celebrate YourNovel.com's 20th anniversary. Marcy Thomas, one of the contest winners, who wrote "Treasure Seekers," "Heart of the Keys," "Rome: Diamonds, Danger and Desire," "Season's Greeting, Season's Love," and two of the four novellas in "Shore Thing II." Gail Gibbs wrote "Vampire Saga: A Trio of Tales," which is comprised of her three novella eBooks "Vampire Rhapsody," "Fresh Blood, " and "Blood Starved. " Gail also wrote “Red Moon Waltz." Jennifer Price who wrote "High Seas Romance." Geno Vincenzo who wrote "Missed Tryst" and "A Reunion to Die For." Susie Taylor who wrote "The Magic Snow Globes." Madhavi Krevat who wrote "A Ren Faire to Remember." Additional eBook authors complete the line-up, and we are in the market for additional writers. You can request a copy of our Guidelines for Submission by emailing us. Watch Bob Dotson's story about YourNovel.com, which aired on NBC's "The Today Show" in his "An American Story" segment. Scott Mason, host of WRAL's "The Tar Heel Traveler", does a great job of capturing who we are and what we do. 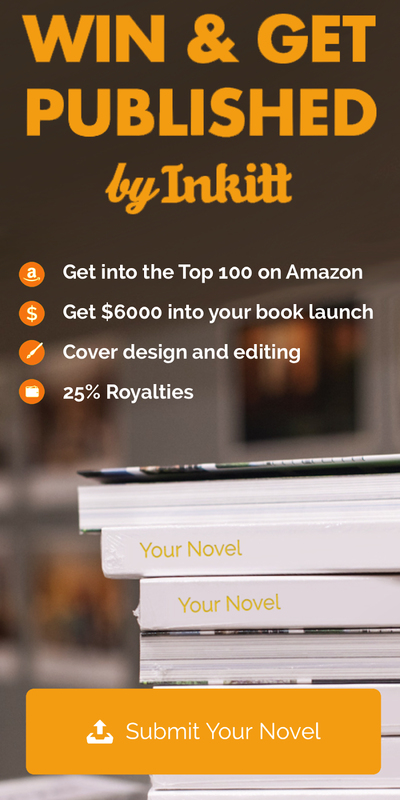 Our YourNovel.com video shows you more about the company, what we do, how we do it, and how to order. Newbern: "I was on a panel at a public relations conference and the ice-breaker question was: 'What would people be surprised to find out about you?' I answered that I had written a yet-to-be published romance novel, which got an appropriate response. Fletcher, then my boyfriend, had driven to the conference with me, and at lunch, one of the women, a friend, at the table said, 'Wouldn't it be great to read about yourself in one of those romance novels?' Well, we all laughed and kidded around about it. Then, on the four-hour drive home, Fletcher and I looked at each other, and the proverbial light bulb went off. We said, 'You know, we could do that!' and actually started outlining our first book, 'Another Day in Paradise,' on the back of a manila folder on the drive. We started writing it the next day." Fletcher: "We acted on a great idea, and today are going strong. We firmly believe that the only way to get something done is to do it." Newbern: "We did not want to look back at some point and say, 'You know, if we had just done that personalized romance novel thing...' "
The cover shown is what it looks like with a photo added inside the globe. “…I noticed it right away. And you look even more beautiful lying here than I had imagined.” John reached down and ran the back of his hand down her cheek. He leaned over, kissed her and joined her on the duvet. “It’s really something, isn’t it?” he asked, rolling onto his back and looking up. “Exactly,” John agreed. “Let’s leave all that behind, and Wheeling Steel andFrankie and trying to make ends meet and worrying about what might happen. We have such a great life together.” He rolled over to be closer to her. John sighed. He knew that Ann knew how to make him feel good. He decided to just let her take control, something he really liked. This is a great read for February. As I read this book I looked outside and it was a snow storm. I felt as though I could go outside and be in a real life snow globe. I love that these books are personalized and you can choose if you want a wild or mild version. This was the perfect Valentine's day gift to my hubby. He loved that his car was in it! I answered a questionnaire about hair and eye color, nicknames, and even our favorite perfume/cologne. There was also a spot for a dedication. I love being able to personalize gifts, because they are made for a certain person, from the heart. I got an ebook version, printed it out and have it like a regular book. I am giving this book a 5/5. I was given a copy to review, however all opinions are my own. Check out the website here: https://www.yournovel.com/ I think that there is still time to order for Happy Heart Day!